How adult children can help seniors get the depression treatment they need. For Michael, a musician who lives in Southern California, a feeling of worthlessness was one of the key symptoms that suggested he was depressed and led him to seek treatment. Not all seniors know the signs or feel ready to ask for help. Sometimes, it’s the adult children who need to know when to step in. But, for many members of the sandwich generation, knowing when to intervene isn’t easy. The generation that once sang, “I hope I die before I get old,” is largely singing a different tune today. You may find your baby boomer parent or other relatives are more concerned about health and longevity than ever, and combating mental health conditions like depression is part of aging well. 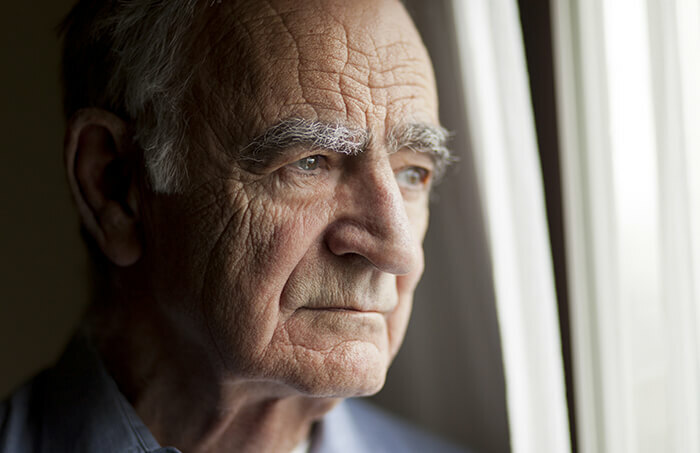 Depression affects approximately 6 million Americans age 65 and older; but only 10 percent receive treatment, according to WebMD. Watch for symptoms of depression your parents. Warning signs can include loss of energy or interest in activities, increased use of alcohol, social isolation, frequent complaints about physical pain, sleep disturbances and appetite loss. Loss is another common trigger for depression, says Dr. Helen Lavretsky, a specialist and professor in geriatric psychiatry at UCLA. Losses can include health difficulties, cognitive decline, the death of a partner or close friend, a career change like retirement or a sense of diminished purpose in life. Remember that while this trait may lead to trouble if it means parents are refusing care or denying their feelings, it also fuels a sense of hardiness that may help boomers overcome depression once they face it. Lavretsky agrees that boomers do tend to be more self-aware and more concerned about health than older generations, so they often will seek out preventive care for depression. “They know that diet and exercise play a role in their overall health,” Lavretsky says. “They’re more open to using alternative medicine to help rebalance their mind, body and spirit, and cope with stress.” So, make sure your parent is as active as possible and that they’re eating balanced meals. Former massage therapist Jean is a divorced mother of six grown children and a long-time depression sufferer who is also participating in Lavretsky’s study. While she is an advocate for therapy and medication when necessary to combat and prevent depression, Jean also advises people to take matters into their own hands. Depression can also be a side effect of some medications, including ones taken for blood pressure, sleep disorders, anxiety and Parkinson’s disease. Urge your parent or relative to talk to their doctor right away if they feel depressed after starting a new prescription. Fortunately, a variety of resources are available that can help you assist parents struggling with depression. These include older adult health specialists, mental health services, support groups related to a particular illness (like Parkinson’s or cancer) and clergy members. Above all, the support of family, friends and caregivers is vital to preventing and addressing depression. “Older adults should be given a sense of their importance and defined roles in everyday family life,” Merrill says. And, talking openly to your parents about depression is also an act of bravery. Tough talks are just that, but knowing the signs and taking the first step is a gift to your parents and your children.